Airsoft pistols are everything you want in a secondary. They’re light, reliable, and easy to carry. Here are the best airsoft pistols you can get this year. Not sure whether you should get gas or electric? Read our guide on the different types of airsoft guns and learn the pros and cons for each one. One of the most-reliable gas options available, the Hi-Capa will fire without fail time after time. A crowd favorite, this pistol is capable of growing alongside you. This is one of the pricier airsoft pistols on our list, though you’re paying for outstanding quality. If budget isn't an issue, you’ll struggle to find better options than the Hi-Capa. The Tokyo Marui Hi-Capa 5.1 currently sells for under $200. Due to its popularity, the Hi-Capa has plenty of aftermarket parts readily available. It’s quite easy to fix or upgrade if needed. Many manufacturers have since released their own hi-capa pistols based on Tokyo Marui’s design, flooding the market with interchangeable components. The pistol will last you a long time and is a worthy investment, not simply a purchase. Though internal components are top quality, the external frame is plastic, hampering overall durability. Thankfully, key pieces like the slide are solid and offer little play. 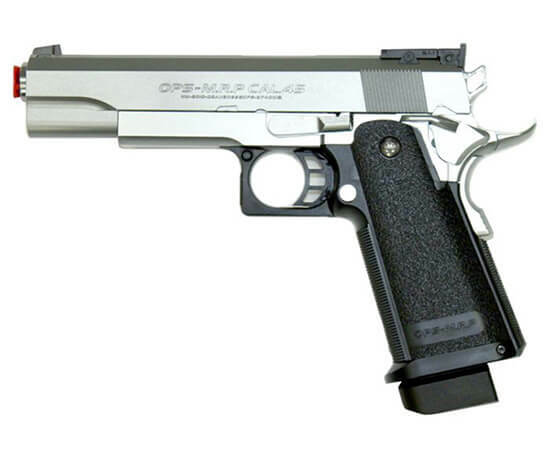 Summary: Tokyo Marui is a highly-regarded manufacturer of gas powered, blow-back airsoft pistols. Accordingly, the Hi-Capa 5.1 is one of the most popular airsoft pistols currently available. Performance is quite good – the Hi-Capa shoots at 280-300 FPS. Accuracy has always been Tokyo Marui’s strength, and owners report exception sharpshooting without upgrades. It accepts both duster gas and green gas, yet can be adapted for propane. Its magazine holds 31 rounds. Straight away, this gun is a treat for all players seeking great performance in a unique package. The ASG CZ P-09 performs exceptionally at a price that doesn’t induce cardiac arrest. Sitting comfortably in the mid-range market, the CZ-P09 is a great option if you’re working with a moderate budget. You’re paying for an officially licensed, 1:1 replica of CZ’s tactical pistol. 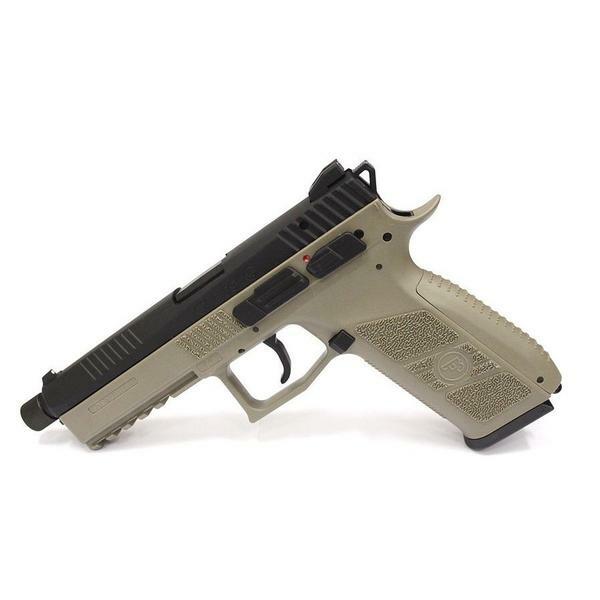 The ASG CZ-P09 sells for under $150, though its Dark Earth variant can be had for substantially cheaper. The P-09 platform isn’t nearly as popular as the 1911/Hi-Capa platform, thus upgrade parts are harder to find. However, they are available. Though veteran tinkerers may feel underwhelmed, this isn’t a pistol that warrants multiple upgrades to function well. Featuring a multi-textured grip, along with an aggressive frame and slide serrations, the P-09 is intimidating. It has a metal slide atop a nylon-fiber frame, the former being especially important for a gas sidearm. Though the gun is quite durable, the paint will chip with repeated drops. Summary: With stock components, the CZ P-09 really shines. Using CO2, the pistol shoots in excess of 370 FPS. These numbers drop to about 350 FPS when using green gas. We recommend using heavyweight BBs. Accuracy is a strong point of the P-09. Without touching the hop up, heavier rounds tend to fly straight and long. Depending how you dial it in, the pistol becomes a respectable mid-range weapon despite its form factor. Perfect for all players, the KWA HK45 is a solid weapon that will perform day in and day out. Fully licensed by Heckler & Koch, it’s a modern pistol with tactical features that will appeal to many. Using KWA’s patented NS2 gas system, this pistol will shoot reliably and efficiently for countless matches to come. In line with the airsoft world’s premium brands, the KWA HK45 carries a hefty price tag. This gun is for advanced players, or at least those for whom money is no object. That being said, that cost includes impressive build quality and performance. The KWA HK45 costs $155-200 depending on seller and add-ons. It’s fairly easy to order replacement parts using KWA’s website. However, upgrade parts are quite challenging to find. Thankfully, the only thing that truly requires a swap is the outer barrel, which is plastic. The KWA HK45 is comfortable to hold and well-balanced. While not particularly heavy, it’s sturdy. The frame is polymer and the slide’s completely metal. However, the outer barrel is plastic. Avoid dropping your HK45 – the polymer frame can chip against hard surfaces. Summary: The KWA HK45 shines in most every area, receiving positive marks for velocity, accuracy, and efficiency. It fires BBs at 340-350 FPS, sufficient for close quarters combat and shorter ranges. The pistol uses green gas but can also be tapped for propane. The pistol’s orange tip is threaded with 16mm threads and accepts silencers. This makes the HK45 a great sidearm for sniping loadouts. Reliable and unique, its blend of power and sharp accuracy will outshoot opponents with relative ease. The Tokyo Marui MK23 is a top SOCOM replica that deserves serious recognition. Built for snipers and run-and-gunners alike, this quiet pistol is engineered with gas efficiency in mind. Complete with a silencer and detachable, bottom-mounted flashlight, this is an exceptional package. Great airsoft pistols beget premium price tags, and the MK23 is no exception. Thankfully, the package offers good value thanks to the quality and quantity of add-ons included. The Tokyo Marui MK23 costs $140-200 depending on the retailer. Since the MK23 is a Tokyo Marui product, replacement parts are relatively easy to come by. However, the MK23 is no Hi-Capa in regards to upgradeability. Because its role is so niche, despite its excellent performance, upgrade parts are difficult to come by. As expected, fit and finish are of top quality. Though the gun is externally a blend of metal and plastic, it’s sturdy. It’s gas powered, but the plastic slide avoids heavy wear due to its fixed nature. Important internals are metal which aid in longevity. Summary: In short, the Tokyo Marui MK23 is a field sniper’s dream. It’s well-suited to stealthy engagements but offers respectable power. 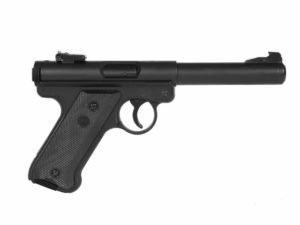 The pistol shoots 300-320 FPS using green gas and is whisper quiet. You also enjoy this performance in a handsome sidearm. The MK23 does have a rather large footprint though, thanks to a silencer that nearly doubles the length of the gun. Finding a proper holster may be a challenge. However, a 28-round magazine ensures continuous shooting, allowing you to keep your MK23 handy for extended periods. A budget-friendly option, the KJW MK-I is a surprising top performer for lovers of competition pistols. Its unique, elongated form factor turns heads, and its hard-shooting nature will keep enemies at bay with ease. Made primarily for beginners and competitive plinkers, the MK-I is a nice little pistol for those spending under $50. Considering its gas operation and performance, this is a fantastic value. You can purchase the KJW MK-I for only $45. KJW is generally pretty good about offering replacement parts through their online store. However, the MK-I platform is fairly proprietary, thus not many pistols share its design. Because it performs quite admirably at a cheap price, we don’t anticipate upgrading to be very popular. The MK-I is well-balanced without being too hefty, weighing only 1.6 pounds. The gun is made of polymer, but is durable despite this. A non-blowback gas system ensures efficiency and longevity, as long as it’s taken care of. Internals are made of metal to handle the gas mechanism. Summary: A highly-competent sidearm that defies its price tag, the MK-I shoots a whopping 350-450 FPS. Its gas system is relatively efficient, allowing for repeated shooting. Despite its long frame, it retains its portability and will surprise many opponents during battle. A metal hop up ensures accurate flight from one shot to the next. The MK-I includes a 17-round magazine, perfectly serviceable but not high capacity. Capitalizing on the Glock-replica trend, the CYMA G18C is a high-quality sidearm that deserves high praise. Ditching gas due to its AEP designation, the G18C is perfect for players wanting to spray a large volume of rounds downfield in short order. Compared to their gas cousins, AEPs tend to be less expensive, and the CYMA G18C is no exception. 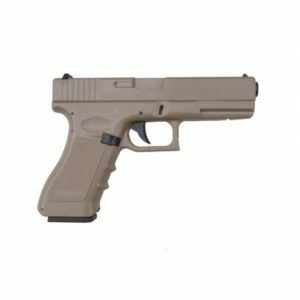 Though shipping can be a challenge with Glock replicas, the G18C can be picked up for about $60. This makes it a great option if you have a restrictive budget. The aftermarket parts selection for the G18C is somewhat limited, though internal components share similarities with Tokyo Marui’s Glock replicas. In that sense, some parts are interchangeable. Players seeking upgrades will want to look into lithium-polymer battery pack upgrades, which are common and affordable. The pistol is made of polymer, featuring a modern design akin to many of Glock’s authentic firearms. That being said, the gun is weighty and well-balanced. Its finish is also high quality. Many internal parts are metal, especially beneficial given the fully-automatic firing mode. This gun should stand the test of time, within reason. Summary: Rate of fire is the CYMA G18C’s bread and butter. Though paired with relatively-low power at 220 FPS, the sheer volume of BBs fired make up for it. This gun is not meant for long-range exchanges, but really shines in CQB. When up against multiple opponents in tight spaces, it becomes a formidable sidekick. If you’re feeling restrained, semi-automatic fire is available. Owners may find the 30-round magazine depletes quite rapidly, though extra magazines aren’t overly expensive. The pistol is a good performer for beginner and casual players. What pistol do you recomend that is nonblowback or otherwize most airefficient. I dont care for realism I prefer futurism. Large capasity and ease of maintenance are also important features. I need one to use in pistol training before my student touches a real firearm. I have some students who have never touched a firearm. I plan to incorporate this into my training. I want a full blow-back pistol with the look and feel as close to a real firearm as possible. I would like it to look like a concealed carry weapon like the one they will buy later , example : M&P SHIELD, SPRINGFIELD XDS COMPACT, GLOCK 42 OR 43. I ALSO WOULD LIKE A SMOLL REVOLVER IF POSSIBLY. Nice and details reviews. Informative. I have started loving the site! Thanks for reading Trent, and good luck! The page really jumped out at me. I run dark reader by default, and turning it off really assaulted my eyeballs. Perhaps a black page would work better. I also had a bit of a gripe how long the page was. Not necessary IMO. I think a grid with context info would work better. Thanks Langley for the feedback! I definitely don’t want your eyeballs assaulted. Will look into seeing how I can improve the experience. The best airsoft pistol for me would always be any TM Hi-Capa or any KJ Hi-Capa. In order to make the website better I’d work on the home page. I clicked “start here” and it went nowhere. Maybe have a dedicated homepage with maybe your most recent posted articles up. I also like that you have an option for people to write for you! Good idea for a website, though! Love the Reddit username Nate! Anyways, I agree the homepage need some work. Will definitely fix that. Thanks! I’m a lover for the TM Hi-Capa, so that would be my choice for the raffle. My Reddit user is u/WaterPoppin. Some criticism for the website is to not have a basic white back round for the website, have some cool back round tactical images that gets the visor into the whole lore of airsoft itself. The other thing I would change is to have something on the start here page, like maybe an introduction to airsoft and what it is, the safety measures needed to take place to play airsoft (like eyepro and proper clothing), and different types of fields (such as CQB, outdoor, milsim, etc. ), other than that I would really like to see this site blossom because it seems like a really interesting concept! I already own one Cyma AEP and love it, and unlike most of the others here, it if breaks (which it likely wont) its cheap to replace. I really like what you have going on here, coding wise, however, a black background with white text would be a great thing if you could make that an option. If you could add a place to go from the “star here” button, like a link to a page with all the lists compiled into separate link and condensed for scrolling through to get to a list that is helpful for the topic being looked for that’d be great. Have a good one. My bad, it’s the “Get started” button. Great idea to generate traffic and Google ranking! My only suggestion on what to improve overall, and this is totally a personal preference, would be a change in colour pallet – maybe something more in line with the hobby. I liked the blog and only thing I would alter would maybe be different colors like someone else said. 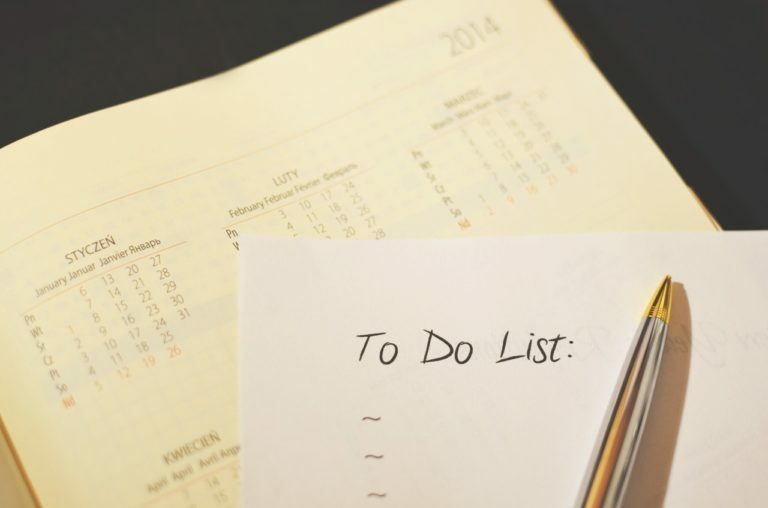 But a great list nonetheless! I would like to see a darker theme for the site, if possible. Black text on white background is blinding for a mole like myself. I am not a very picky person, nor someone with great experience on websites and website building, so I’m gonna say just listen to other people’s ideas here but I truly loved the reviews and the real humanlike comments, not the bot-like ones that other airsoft and sporting sites post. This is great for helping me decide on a first sidearm. Really nice website, I’m new to airsoft and it was really easy to understand the pros and cons of each gun. Thanks for the awesome giveaway! Personally not a fan of blogs in general but I do really like the color choices and menu for the blog. I really like the way you broke down the grading categories for the different pistols. Easy to understand at a quick glance and yet also has some good info in breakdown under each category. CZ Po9 would be my choice as I have had a fair share of Hi-Capas. As for feedback I’d praise for covering all basic web design in here but I’d maybe add some color make it a little more playful and fun. Also maybe do some homer ale mentions in each category. As for feedback, I would say the color is a bit offputting, the white, green, and blue(In my opinion) sort of hurt my eyes. Of the pistols listed in this article (that I don’t own), I’d choose the Tokyo Marui Hi-Capa 5.1. Additional with the upcoming release of the Hi-Capa D.O.R, buyers don’t have to get a new slide or adapter to get, say a RMR on their Hi-Capa. 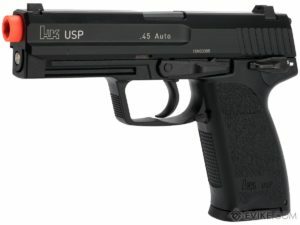 Best pistol for me will be a Tokyo Marui Five Seven. It fits well in my hands and mine is also pretty well upgraded. As for improvements, I’d say consider making the gun pics a little larger, and possibly making the article more compact. Maybe put the text to the side of the pics instead of under. Best pistol for me will be a Tokyo Marui Five Seven. It fits well in my hands and mine is also pretty well upgraded. From the list though, I’d gladly take a Mk23 SOCOM. Best pistol for me will be a Tokyo Marui Five Seven. It fits well in my hands and mine is also pretty well upgraded. From the list though, I’d gladly take a Mk23 SOCOM. Its large but its quiet as can be. I really liked the site, as it’s clean design really stood out to me. I also love that it is a concise list, but still has a variety of options to choose from. My one suggestion is to make the star system on each of the guns a little clearer. For instance, every gun on the list has a price score from 4-5, and I’m not exactly certain why each gun received the score that they did. Good reviews, like this site a lot. I would like to win the TM Hi-Capa because my friend can’t buy an airsoft weapon and I would give it to him. The page seems to be pretty good. I like how there are parts, quality and price sections. I wouldn’t change the page much because currently it is easy to read the information. Most importantly there are no ads which is amazing! The website is a bit difficult to read on mobile. The ratings blend together making it a little difficult to understand where the star ratings are supposed to be. It also just turns into a keep scrolling mess when there is this much text. If you could find a way to break up the categories that would be wonderful. Love the give away idea, my choice would be the ASG CZ P09. Take away from the sight, the pages gets a little lengthy scrolling through all the options, I think a place this could be cut down would be on descriptions for the star ratings and keep this on a simple rating basis without the additional information. If you want to touch on price and other key points I think it could be included in the summary. Thanks again! My Reddit is u/Jappu90 and I would like the CZ P09. For the website I would suggest making the site more compact, because it takes a bit to scroll. Unlike a majority of the “blogs” that crop up, this is extremely well written and comes off as unbiased. I don’t know what your personal experiences have been with any of the guns or where you are getting your information, but at least it doesn’t sound like you’re circle jerking a company and I appreciate that. I think a landing page where you see the names and pictures of the guns which you can then click to go to the full overview would be beneficial, as others have mentioned on mobile it is currently very scroll intensive. Also if the user could select pistols to compare side by side I think that would be a neat feature. For feedback, I really like the layout. Not sure how it is on a desktop but on mobile, for lists like this one, make the comments on each gun/item collapsible. It would allow for a little bit quicker navigation. But aside from that, looks awesome! Good generous spacing on the page, I like that and I believe it’s also good for beginners to find it easy to differentiate between the different categories of airsoft handguns (GBB, AEP, GNB). I love the look of the site and simplicity of the review everything you need to know and nothing that you don’t. I also liked the Price, Aftermarket Parts and Quality section. I think a thing that could be improved is maybe you reight a little more in-depth section on a little pull out to keep your short sweet article but if someone wanted to learn more they could click a button and read a little more in-depth. Want to save yourself money? Get alerts for when airsoft prices drop lower than usual.